Jordan Peele looks to follow up on a smash directorial debut with his sophomore effort Us. Hot on the heels of the success of Get Out, Jordan Peele seeks to further cement his horror credentials with Us, a creepy tale about a family terrorised by their own doppelgängers. It won’t surprise anyone to learn that there is a little more going on here than meets the eyes and in the tradition of the finest horror films, Us has a little more to say when you dig beneath the surface. The ‘us’ in question certainly isn’t just the family initially featured; you could comfortably read it as the United States or even use it as a mirror to be held up against privilege. Despite some of the issues addressed being hard to highlight without spoilers, it’s undoubtedly a clever film that will certainly reward repeat viewings. It’s a shame then that it takes so long for the film to build momentum. The performances are great and the film is well shot but there is something lacking in atmosphere during the first half. While Peele attempts to ratchet up the tension it never quite puts you on the edge of your seat. If the film had started as well as it ends, then we would have been looking at something rather special. The finale though pulls out all the stops, the frankly incredible remix of hip hop classic Luniz’s ‘5 On It’ comes back into play here (having been used so effectively used in one of the best trailers of last year) and you get what is likely to be one of the stand out scenes of the year. Lupita Nyong’o capitalises on an already excellent performance and her physicality here really shines through to deliver a creepy set piece that won’t be forgotten in a hurry. It’s a mixed bag for sure but that shouldn’t detract from the appeal, there is an awful lot to like here and much like Get Out, this is a film that will give you plenty to talk about for months and maybe even years to come. 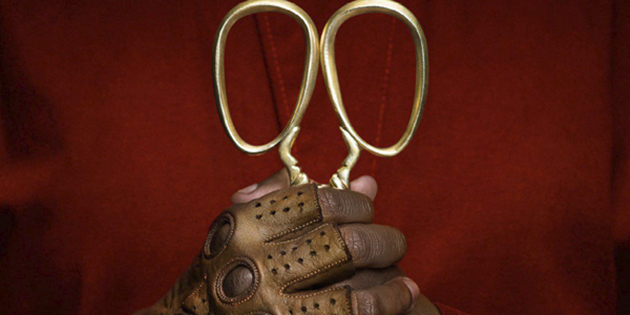 Also keep in mind that in only two films, Jordan Peele has already established himself as one of the most interesting filmmakers working today and we should revel in the potential on display here for what comes next.